Australia has both Public and Private Health systems and there are opportunities for nurses in both systems. The Private sector is focused on revenue generation. Nurses are prepared to commit to a 3-4 year employment contract. Employers are therefore prepared to invest heavily in Education and Training. 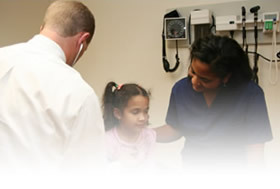 Documentation of patient care plans and profiles. Communication with family and relatives of patients. Nurses can work almost immediately without undertaking a Nursing Board Assessment course. They require less orientation and training. Communication with patients and staff is easier. The cost of training is significantly lower. Less direct supervision is required. The Public System is focused on cost reduction, and risk reduction. Public hospitals generally have more acute staffing shortages. Public Hospitals are unable to provide the management support required. They require nurses who can operate relatively independently almost immediately.